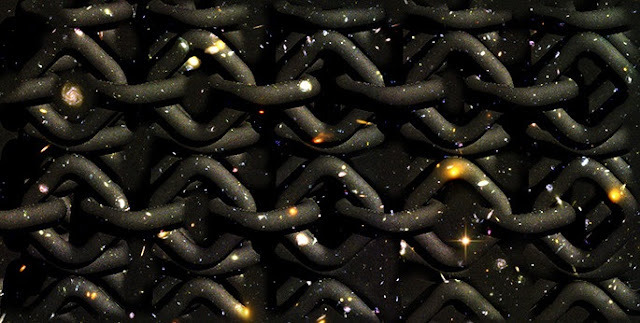 The next time you come across a knotted jumble of rope or wire or yarn, ponder this: The natural tendency for things to tangle may help explain the three-dimensional nature of the universe and how it formed. An international team of physicists has developed an out-of-the-box theory that shortly after it popped into existence 13.8 billion years ago the universe was filled with knots formed from flexible strands of energy called flux tubes that link elementary particles together. The idea provides a neat explanation for why we inhabit a three-dimensional world and is described in a paper titled “Knotty inflation and the dimensionality of space time” accepted for publication in the European Physical Journal C and available on the arXiv preprint server.